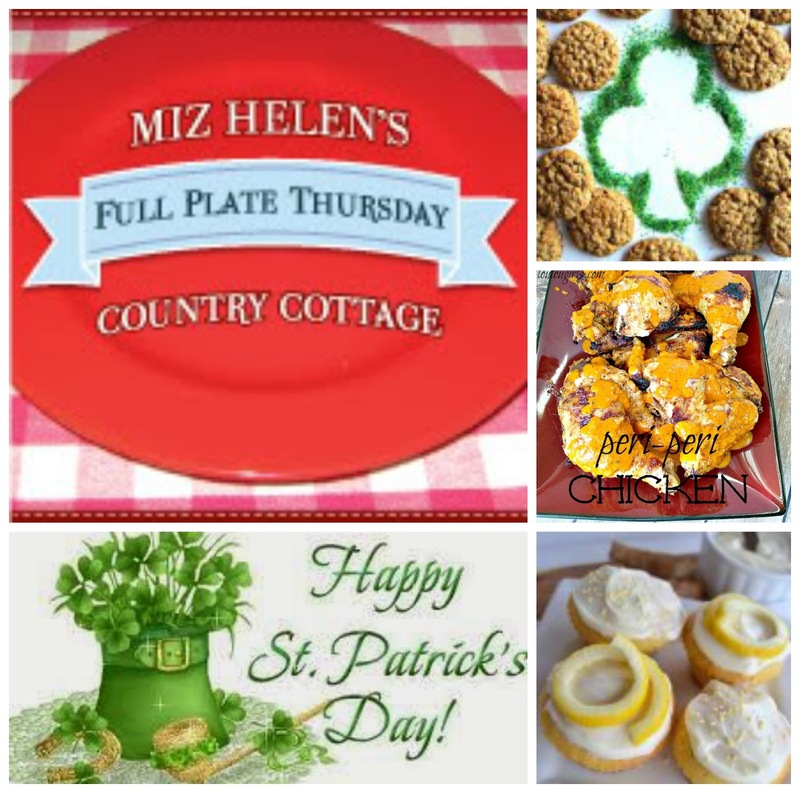 Welcome to Full Plate Thursday and Happy St. Patrick's Day! How exciting to have our party on St. Patrick's Day. We have been so busy here at the cottage with spring breakers, and having two holidays this month. We love celebrating our Irish heritage today with all of you today and I can't wait to see what you are bringing to share with us. Happy St Patrick's Day to you Miz Helen! Thank you for thinking of the flooding in the south. It is really bad and it's very thoughtful of you. Thanks for hosting as always and I hope you have a great St. Patty's Day. Thank you so much for hosting each week! 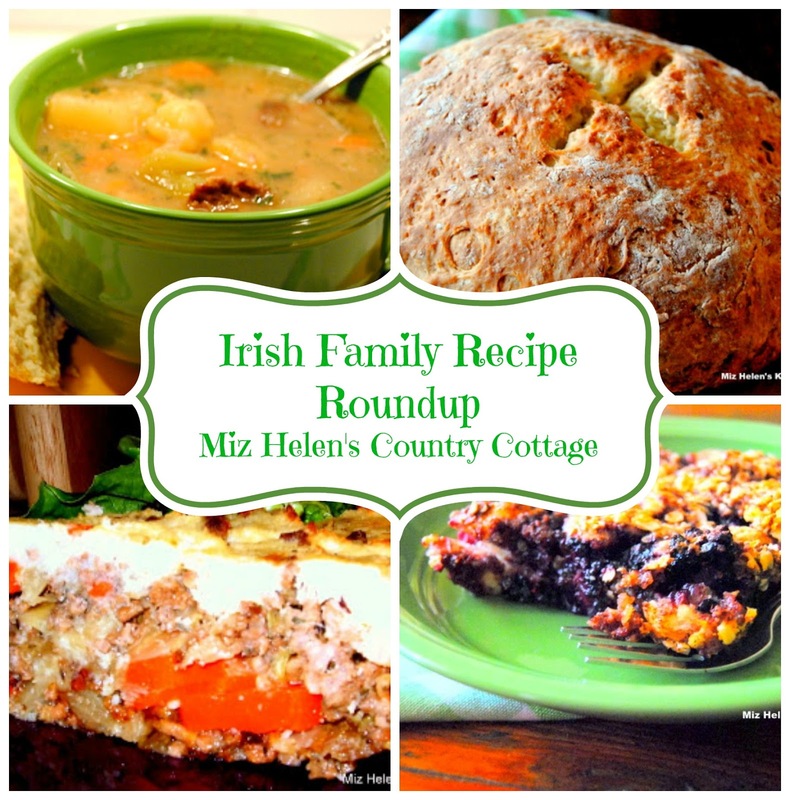 It's so fun to see all the Irish dishes this time :) Have a wonderful weekend! Yes, the flooding in the south is so devastating, Miz Helen, and you're so kind to remember for us to send our prayers to all of them. Happy St. Pat's day Miz Helen! thank you for the party! Thanks for the party, Miz Helen! Have a festive St. Patty's Day! Thank you for hosting, Miz Helen and thank you for featuring my Irish Oatmeal Cookies! Happy St. Patrick's Day! Happy St. Patrick's Day! Thank you for the party and all of the lovely recipes. Best wishes for tasty dishes. Happy St. Patrick's Day! I hope you have a great week! Happy St. Patrick's Day! Thanks for hosting! Happy St. Patrick's Day. I added my St. Patty's day post. Thanks for hosting this. Happy St. Patrick's Day! Thanks for hosting, and have a wonderful week! Thanks for the party, Miz Helen! Happy St.Patrick's Day! Thanks for hosting Miz Helen! Happy St. Patrick's Day! Miz Helen, I hope you're having a wonderful day and week! Thank you for hosting. Lots of wonderful things to check out.